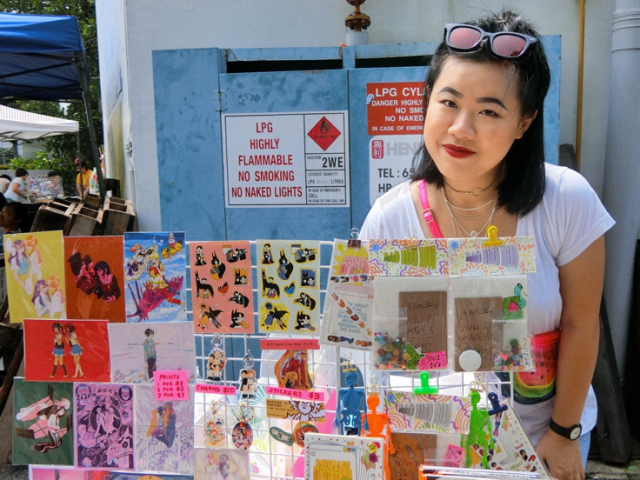 Meet Beverley Ng, a graphic designer who overcomes self-doubt through art journaling and zine making. 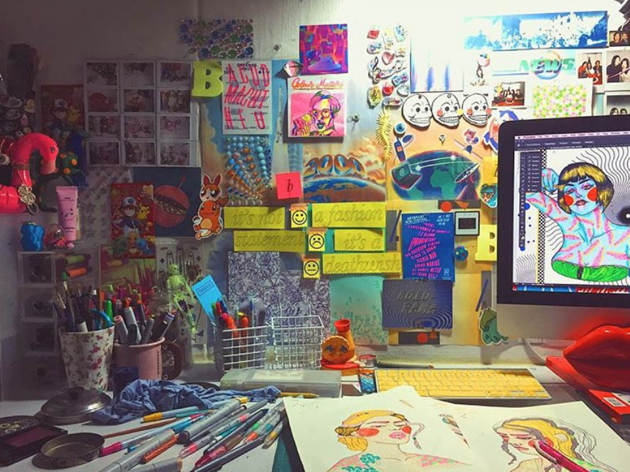 Beverley Ng is a full-time graphic designer and artist behind the Instagram handle @bever.gif. Unlike many of her peers who are into digital art, Ms Ng prefers to write, illustrate and design layouts by hand and uses the computer only for editing. 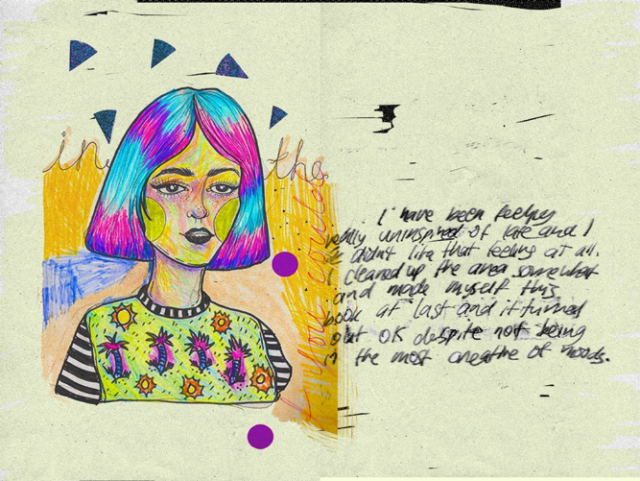 Her artwork is mainly presented as zines, and the content is often inspired by her personal journals. Here are some of Beverley’s artwork. Ms Ng studied visual communication at the School of Art, Design and Media at Nanyang Technological University. The 25-year-old developed a grungy style over the years. American graphic designer David Carson is one of her biggest influences. Nevertheless, Ms Ng chose to stay the course. She knew she’s good with her hands since she was a child. In primary school, she made Neopets fanzines. 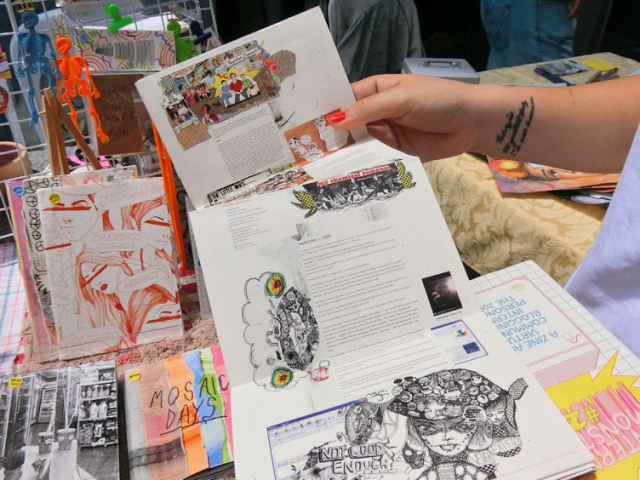 In secondary school, she started creating zines with collages. 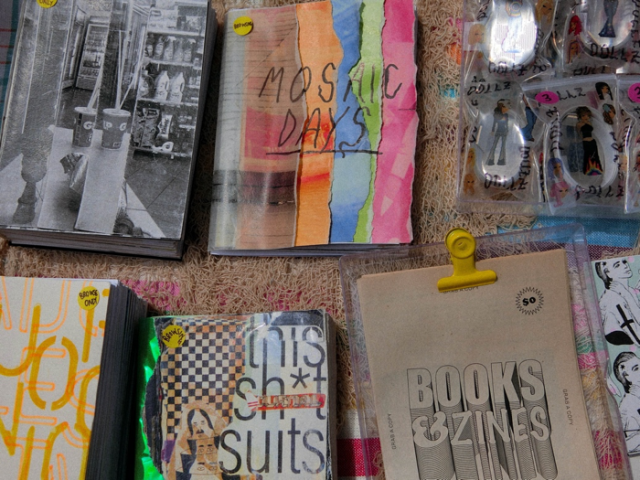 She’s now compiled a number of zines, many of which are inspired by her personal journeys. To her, the process of making zines is enjoyable as she can “build a story out of the things [she] collects – paper, photos, words”. 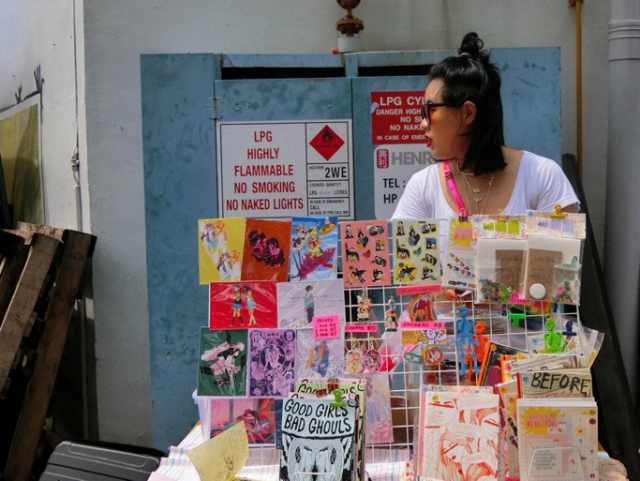 Ms Ng is not alone in her passion for journaling and zine making. She knows the artists behind Squelch Zines, a community platform which aims to promote self-expression through zine creation. 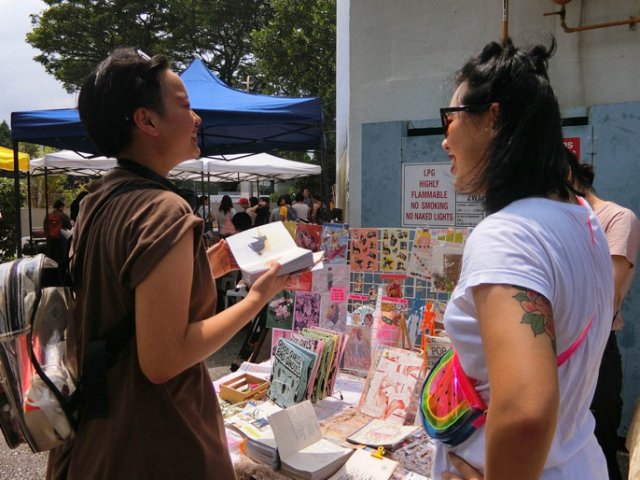 The group helped curate a section called Zine Room for this year’s Singapore Art Book Fair. 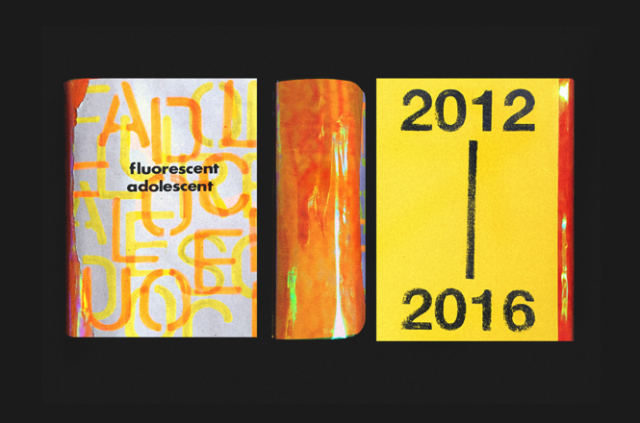 When asked to name her favorite work so far, Ms Ng picked Fluorescent Adolescent, a zine which documents her “journey from being a young adult to an adult”, and is “kind of an ending of a period of [her] life”. In a way, this process of creation has helped Ms Ng find herself and her strengths. She added that anyone can make zines. They have the “free rein to do anything”. 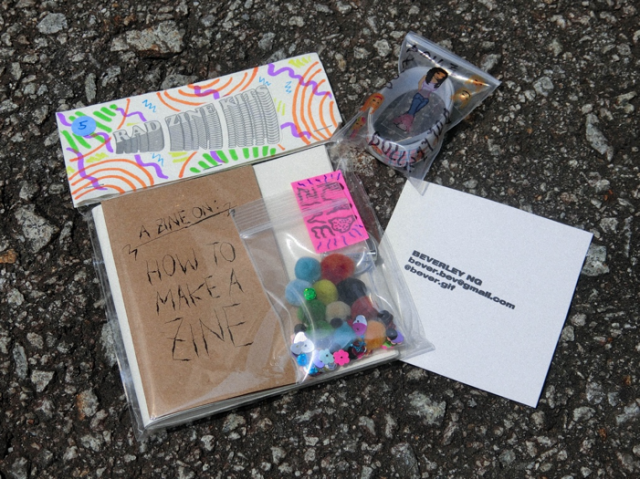 She’s now selling her “Rad Zine Kits” that contain a guide to zine making, paper, stickers and embellishments to help those who want to kickstart this journey. While Ms Ng does make use of Instagram to showcase her work, she said she’s not obsessed with growing her following.